There is a lot happening in the social housing space and details are just starting to emerge. Here’s the story so far. The Government has indicated it will sell off approximately 20,000 of the 69,000 state homes. Housing New Zealand will still be the dominant force but operating with a quarter less of its housing stock. A shortage of housing remain mostly in Auckland and Christchurch but also in some of our poorer rural communities. Plans are afoot for private people and developers to buy state houses but iwi, community housing providers, churches and councils will have an opportunity to buy if they have the money to buy; a discount for good works is not assured. At the same time, there’s a promise of more social housing, particularly in Auckland but how much, and over what time period is unknown. If money is raised from this infrastructural shift it will go to government but there’s little talk of the money being reinvested into building more housing stock of any description but there will be more money spent on income-related rent as this option “is much cheaper than simply building more houses”. Although Housing New Zealand can afford to pay $108 million to the Crown for the 2013/2014 financial year - up from $90 million the year before and $77 million in 2011/12. The 30 September 2014 waiting list for social housing is out and a total of 5,599 people are waiting for social housing. The new normal for waiting is sleeping in cars, camping grounds, caravan parks, boarding houses, garages or overcrowded homes shared with other family members. A glimpse into life in a caravan park…. Mandy is a mother of two who lives in the Western park Village in Ranui. More Accommodation supplement versus building new homes……. There are two schools of thought; one says helping more people with rental subsidies (accommodation supplement/income-related rents) is sufficient to stimulate a private market response to the housing shortage (both property and rental). It’s a short-term solution so it costs less money upfront but costs increase over time; the other says building more (quality) housing (social housing to rent and affordable to buy) will address the core issue (not enough houses). It is a long-term solution so it costs more upfront but pays itself off over time and the housing infrastructure is built for future generations to enjoy. For a great report on the history of housing assistance policies read Alan Johnson [from The Salvation Army Social Policy Unit] 's report "Give Me Shelter"
David Zussman from the Monte Cecilia Trust has worked in Emergency Housing for many years and was recently interviewed about a growing camping ground population. A recent pilot study found participants living in Housing New Zealand homes were consistently colder throughout winter, and 60 percent of Maori children were living in overcrowded conditions. Penny Hollings, Manaia Primary Health Organisation (PHO) delivered the findings of the study, Housing and the Health of Tamariki in Te Tai Tokerau, at the Population Health Congress in Auckland, saying the study reaffirms the link between health and housing and more discussion is needed between the two sectors. An UNICEF report titled ‘Children of the Recession’ has found that child poverty rates in New Zealand have barely changed since 2008, despite similar sized countries significantly reducing child poverty during the recent recession. 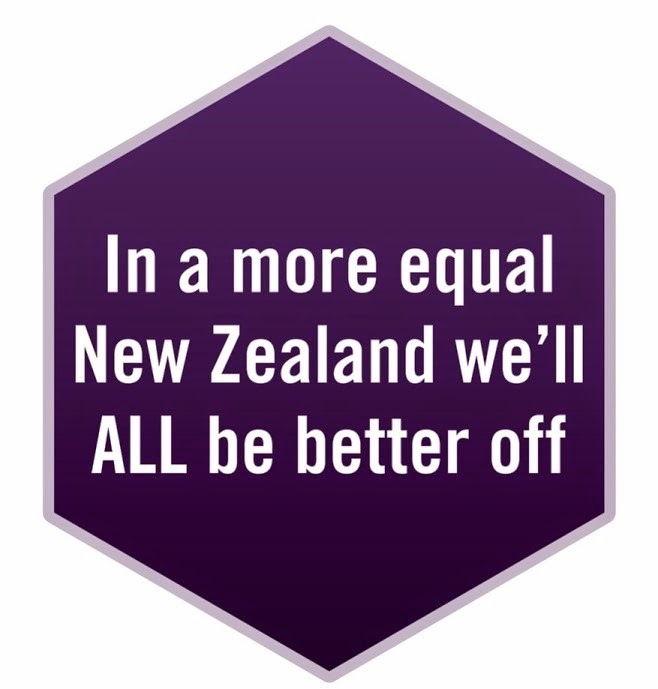 It also found youth unemployment has increased, and more New Zealanders admit they do not have enough money to buy food. The report studied the impact of the global economic crisis on child wellbeing in 41 OECD and EU countries. The message of the report is clear children and youth are the collateral damage of the global recession but what will be the impact of structural neglect of a generation of children and young people on tomorrow’s world? The answer is not rocket science. United Nations Convention on the Rights of the Child (UNCROC) a new set of UNCROC pages is on the MSD website. The National Council of Women of New Zealand www.ncwnz.org.nz is starting a monthly e-newsletter and has added sections to its website to meet the growing demand for information and support around gender equality. Concerned about ‘inaccurate statements’ in the media about the aged residential care following findings of the Court of Appeal in favour of aged care worker Kristine Bartlett, the Aged care Association has put out a this myth buster. The Selwyn Foundation is set to purchase four PARO robots as companions to older people. It seems Paro is the world most popular robot for elderly people. It is described as a “cute, fluffy white baby Canadian harp seal that responds to touch by making soft noises, moving its head and tail and opening its eye”. Selwyn CEO Gary Smith doesn't see them replacing personal care but rather to help improve the wellbeing of residents. Employment Law changes are a “backward step” for human rights of workers such as cleaners, caretakers, laundry workers and hospital orderlies, says Human Rights Commissioner Jackie Blue . Law Form Chapman Trip notes that the law changes “reduce the ability of the unions to organise and recruit” in the helpful summary of the changes on their website. Dr Callister’s on the employment of older New Zealand women prepared for the National Advisory Council on the Employment of Women (NACEW) is available here. Unitec in West Auckland Community Development Conference in February 2015. The themes of the conference include place-making, community economic development, diverse communities and reclaiming democracy. Applications for our 2015 grants round are open. Grants are available to charities that operate in one or more of these areas: Helping children and youth succeed, Strengthening and assisting families, Supporting the vulnerable and elderly, Promoting wellness, independence and self-sufficiency. Social service agencies have traditionally lacked a language to effectively describe our work to others and to quantify the work we do. QualityWorks is a solution to these problems, developed by the Methodist Mission. It has improved the delivery of every service they provide and transformed their ability to measure, analyse and report on their work. Methodist Mission will be travelling throughout the country in December and would love to share their experiences with you and discuss how QualityWorks could work for you and your organisation.